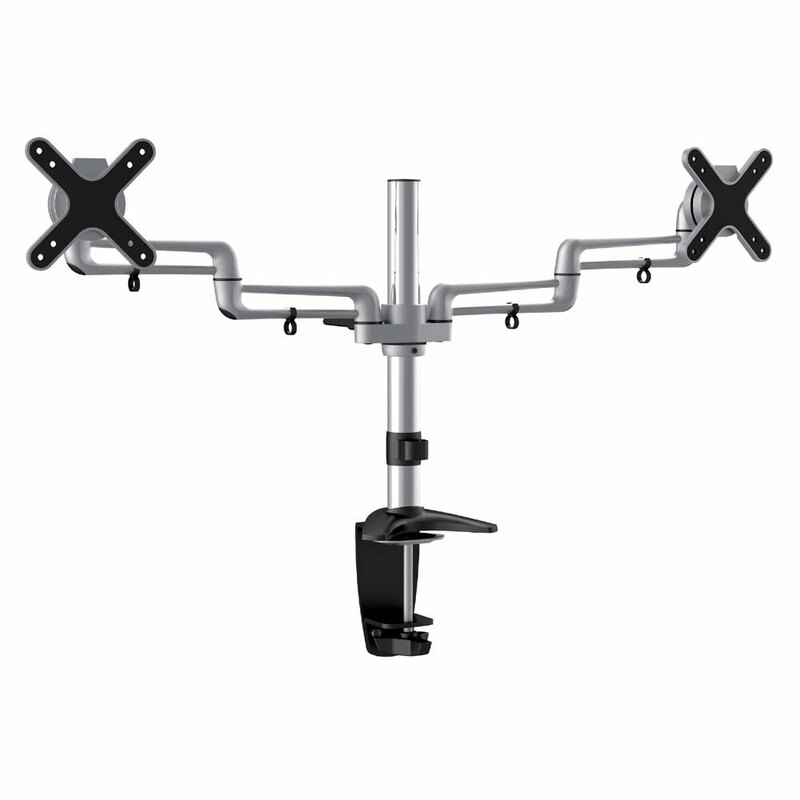 Add a sleek professional look to your workspace with this easy-to-use dual monitor mount. This pole-style mount easily and securely attaches to a desktop's edge or by drilling a hole through the desktop and using the clamp. Works with 13" to 23" LCD monitors. Comes with clips to manage cables for clean look.